Would you accept $50,000 from someone just so they could be your sole source of seafood? 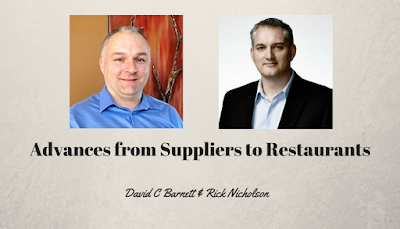 A conversation with restaurant consultant Rick Nicholson was sparked this week when he was helping a client deal with out-of-control food costs relating to a supplier advance. Many people get into trouble with money when they lack the tools to properly understand and make good business decisions. Rick and I discuss the problems with food distributors ‘helping’ struggling restaurants in this week’s video.